If you watched Real Time With Bill Maher the other night, you heard the story about Starbucks using crushed bugs to create the pink color in its strawberry drinks. You can relax now if you are a patron of Starbucks because the coffee vendor has decided to remove the bugs, according to The Seattle Times, opting to replace them with a plant-based substance. 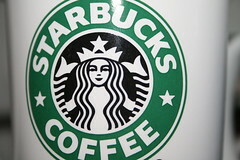 Starbucks now bug-free | Editorials | The Seattle Times.